I was at Harrod’s pricing inherited bone china purchased there decades ago that our movers (EuroUSA and IMS Relocation / Mayflower) lost during our transatlantic relocation. I won’t go into details on that right now other than to say that they really botched the job. I was unable to get the information regarding the pieces as they are no longer in production. This wasn’t a huge surprise. I figured that while I was at Harrod’s, I might as well have a stroll around. Since I am currently unemployed and therefore broke, strolling through the luxuries was not really appealing to me. I had heard about the food halls, and well, a girl’s gotta eat. I strolled through the massive rolling areas complete with built in restaurants and took a peek at a few menus. Yikes! £15 for a sandwich? No thank you. Luckily the take out areas had more reasonably priced fare. The food halls stretch on and on with delis, bakeries, candy shops, a fromagerie. It went from one room to the next. I was starting to understand the legacy. My stomach was growling so I became serious about my search for a snack. That’s when I spotted this disaster. “What do you mean by disaster?” you might ask. Well, look closely. 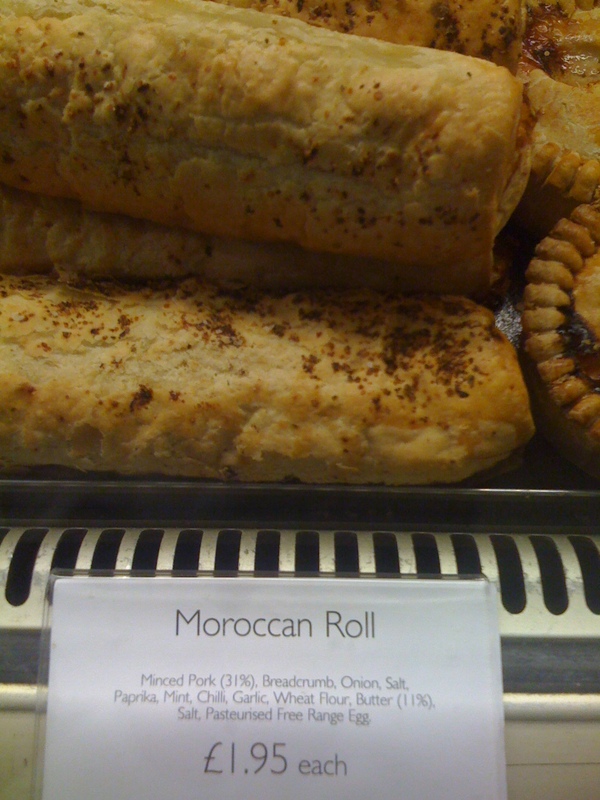 The Moroccan roll here is 31% pork. Morocco is a country with a population that is over 95% Muslim (source Pew Forum.) I’m no religions of the world expert, but I am certain that the Muslim faith forbids the consumption of pork. I’ve been to Morocco. I do not remember seeing one person eat pork or sell pork the entire time I was there. My dear friend Ghita from Casablanca even refused to eat turkey bacon, just in case. I felt embarrassed for Harrod’s and their ignorant snafu. But enough about that. 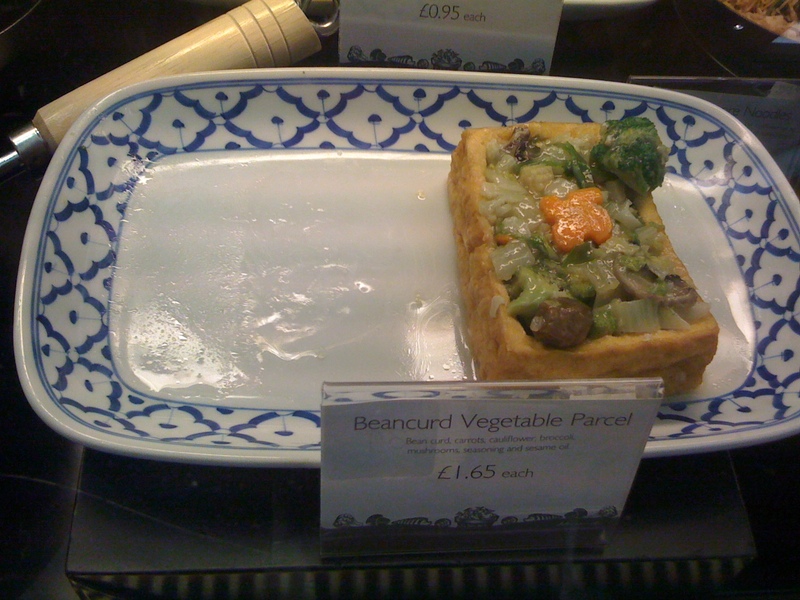 I settled on a Beancurd Vegetable Parcel. For £1.65, it was a steal. Having purchased my lunch, I was on a mission to find somewhere to eat it. The clerk was of absolutely no help. When I asked her where I might go, her response was a firm “You can’t eat it in here.” Set on a mission to find a place to snack, I exited Harrod’s and went walking about. In hindsight, I should’ve gone to Hyde Park. Instead, I wondered around the neighborhood running into small private parks that I was not allowed entry into. London’s full of these member only parks. I suppose it’s a brilliant thing if you are a member. It’s a nice way to compensate for the urban density of London, but I just feel like I’ve been expelled from something potentially great. Standing on my tiptoes peeking between bushes, I try to imagine what it’s like inside. One weekend a year about 200 of these gardens are open to the public. I missed this year’s open garden weekend, which takes place in June. I guess I’ll have to wait around 9 months to find out what I’m missing. I ended up chowing down sitting on a ledge across from one of these parks in a very posh neighborhood. I tried to imagine what it was like to be one of these “Sloane Squarer” types as I munched on my cold and slightly disappointing vegetable beancurd parcel. It wasn’t a mind blowing treat, but not all was lost as it was filling and affordable. 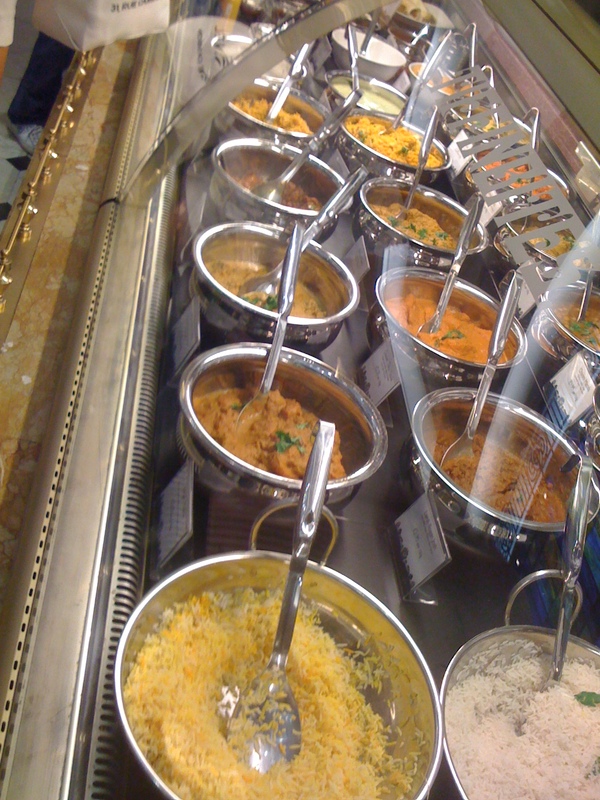 Tell me Interwebs, what must-have food item did I miss from Harrod’s Food Halls?